Ben is CEO and co-founder of Chimera Bioengineering, a biotherapeutics company focused on next generation chimeric antigen receptor (CAR-T) cell therapeutics for greater efficacy against solid tumors. 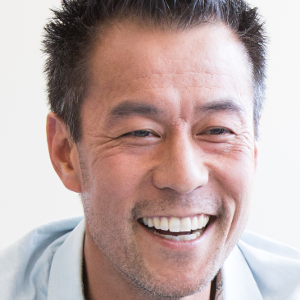 Prior to his role at Chimera, he was an entrepreneur in residence at StartX, the Stanford affiliated accelerator, where he launched Chimera and advised several hardware and medtech companies. Previously, Ben was a co-founder of Svaya Nanotechnologies, an advanced materials company commercializing industrial scale layer by layer self assembly for thin film products and was an early contributor at Caliper Life Sciences, pioneering microfluidics for drug discovery. Ben is an advisor to several materials and biotech companies and is passionate about building aligned, motivated and collaborative teams. Ben received his BS in Chemical Engineering from Stanford University and his PhD in Chemical Engineering from MIT. Chimera Bioengineering builds next generation chimeric antigen receptor (CAR-T) cell therapeutics for greater efficacy against solid tumors. Chimera’s CAR T augment efficacy through the local delivery of immune and tumor micro environment modulating payloads. Leveraging a unique, robust genetic circuit technology, Chimera increases payloads at the tumor while limiting systemic production to expand the therapeutic window.